Martin, a native of Waterford City, is a freelance Graphic Designer and Illustrator who graduated from Waterford Institute of Technology with a BA (Hons) in Design (Visual Communication) in 2011. 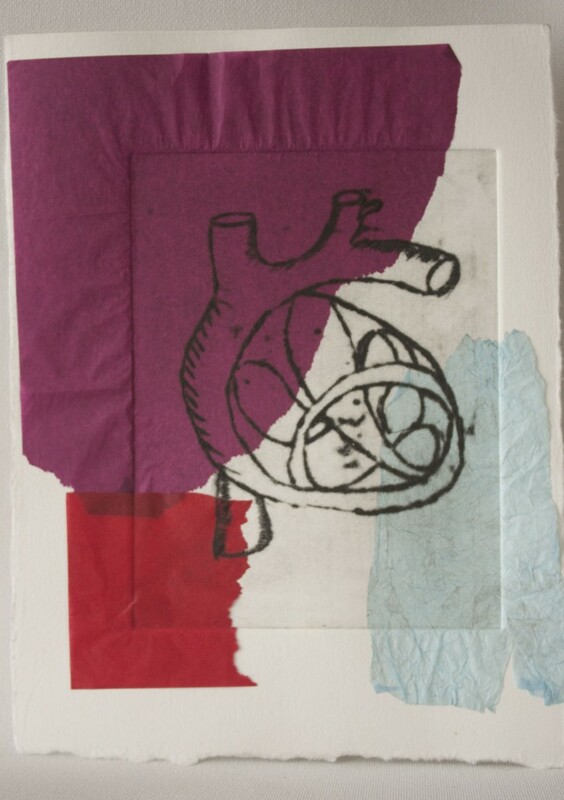 During his time as artist in residence with WHAT, Martin explored ideas relating to the heart by inviting patients and staff members in the Coronary Care, Cardiac Rehab and Renal Dialysis Units of the hospital to share with him something they had learnt by heart. Much of the remembered material Martin received had been learnt in school, and although what was remembered varied from person to person, this exhibition also depicted a picture of our education, revealing things we were taught when we were at our most impressionable. Martin’s residency concluded with his first solo exhibition, The Quiet Heart, which was launched in September 2012 by writer Grace Wells in University Hospital Waterford.